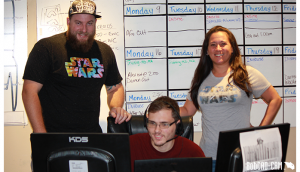 If you are a support member & have ever run into a technical issue with your BobCAD-CAM CNC software, chances are you have called or emailed our support staff. 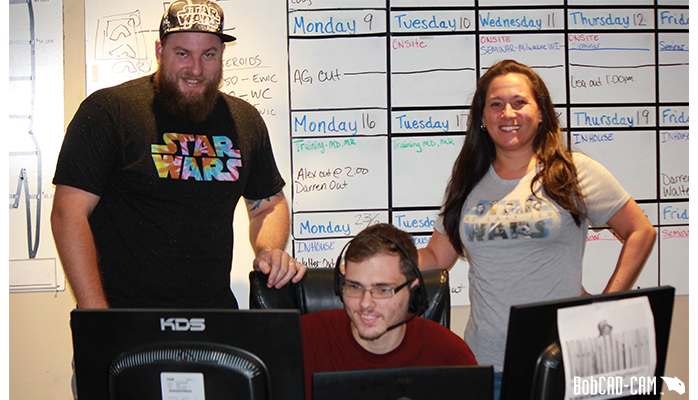 Over the past couple of years, we have been revamping our Support Team, building around people like Senior App Specialist, Darren Harvey. Darren has been with BobCAD-CAM for almost 7 years now and has a wide range of qualifications that allow him to accel at being a support technician. 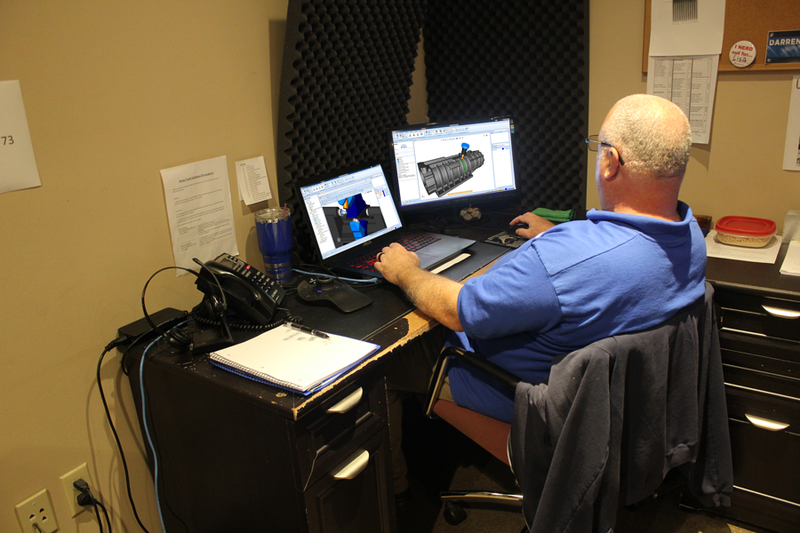 Let’s go behind the scenes once again as we officially meet another one of your support technicians here at BobCAD-CAM, Darren Harvey. What is a typical day like for you in support? There really isn’t a ‘typical’ day for support which makes each day interesting. One of the more common things I do deal with on a daily basis is helping people with V30 and below navigate the new interface in our V31 CAM software. A lot of people are really loving the new interface, especially once they start to get the hang of it. What is a recent technical issue you had that stumped you & how did you come to the solution? The first one that comes to mind is a Mill Turn project from not that long ago. The customer has been using the Mill side for a while now. He recently bought a Mill Turn machine and an add-on in the software. 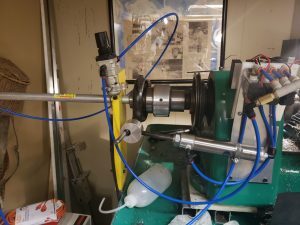 Since he was so green to Mill Turn, I really had to go step-by-step them; starting with the initial setup of the part, explaining the different operations to use. Speaking of green, any advice for new machinists starting out? Learn your machine and learn the software. Your first time using the software is going to be the longest and hardest part but stick with it. Once you make your first part, you will start to gain more confidence and grow as a machinist. You spent time in the military. What did you do while you were in the service and what eventually led you to become a tech here at BobCAD-CAM? I spent 8 years in the US Army as a medic. I did 3 tours in Bosnia & a UN mission to Macedonia which led to the Kosovo war. Also, I was an active section sergeant when 9/11 happened. When I got out of the service, I went to go work with my dad at his machine shop. My father had a 3 Axis machine that we used for mainly doing cabinet work. During this time, we had purchased V23 and were able to get BobART to work on and create different logos/images people wanted to be Milled out. Our niche was being able to Mill out one-off parts and other parts that the other guys either couldn’t do or wouldn’t do. Luckily, we made it through the recession when it hit and we were a subcontractor for a couple of AV companies making custom workstations for the switchover from analog to digital in TV & radio stations. Once that dried out, I was let go and found an opening for tech support at BobCAD-CAM… now here I am! 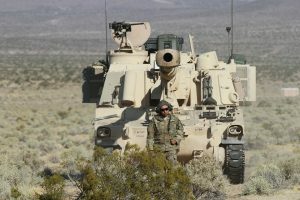 Is there anything you have learned in the military that helped you excel at being a tech? Many things, but I would say the most relevant are people skills and organizational skills. These 2 go hand-in-hand when dealing with a large number of customers that depend on you for assistance when they get in a jam. What do you do in your free time (away from BobCAD)? When I am away from work, I enjoy spending time with my family, riding my bike, doing lawn work and helping my dad out in his shop. His shop is equipped with a Thermwood 3 Axis. We mostly make custom cabinets for kitchens & bathrooms. We also make a few other random things like doorway moldings, conference tables and custom road boxes for traveling stage managers. Probably one of the coolest things I got to do with my dad was building the Fox 13 news sets. We made the whole set in both studio A & B. That includes the main desk, sports desk, weather center, kitchen and interview area in studio B.
What’s something about you that most people wouldn’t know? I wrestle alligators here in Florida… Just kidding; making sure you were still paying attention! All jokes aside, I have the expert field medical badge and combat medical badge (something I dearly treasure) from my days as a medic. Anything else you want to add as we wrap up? Working here at BobCAD-CAM has afforded the opportunity to learn a lot from both my coworkers and the customers we serve. Every day I learn more and more, which allows me to pass on that knowledge to others. Oh, and everyone here is great to work with! I love our support team. Darren has rescued me when I was in technical troubles. Good to know more about Darren day to day life. I agree. He is a solid dude and a great tech; very knowledgeable with BobCAD.